Th is seems to have taken a place of prominence following a short salutation with any teacher in Hong Kong. School is winding down, and teachers are already dreaming of their long awaited vacation plans. Teachers from our school will spread across the globe in search of a recharge from the school year. Its a bit strange not being able to talk about going home and the friends and family that I will be reunited with. I already think about all the things that I will not be able to do, but I also think of all the friends and things that I will get to experience in Europe. All tickets are booked, car reserved, facebook messages sent. Now just to two short weeks to go! 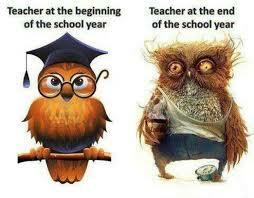 One more week is spent with kids, and then we have 1 week of teacher work days with an awards ceremony mixed in there. Planning on keeping up with the blog as thoughts and experiences come my way. I am glad no one was holding their breath for this post, other wise they would already be dead. Hopefully I can write a bit more over the summer!